For over 150 years, Valvoline has produced the best quality motor oils - longer than any other oil marketer - and has served the needs of car owners. 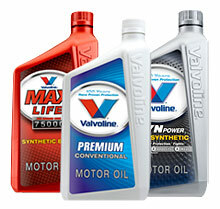 Valvoline carefully formulates and offers a full line of motor oils to meet the specific needs of different engine types and driving conditions and to provide maximum performance and prolonged engine life. It's proven technology that you can trust. 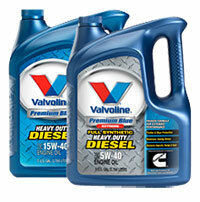 Premium Blue is the only engine oil endorsed and recommended by Cummins, Inc. It is the factory fill lubricant for all Cummins engine manufacturing facilities. The Cummins and Valvoline partnership ensures continued technology leadership. Premium Blue also meets specifications and requirements of other diesel engine manufacturers.